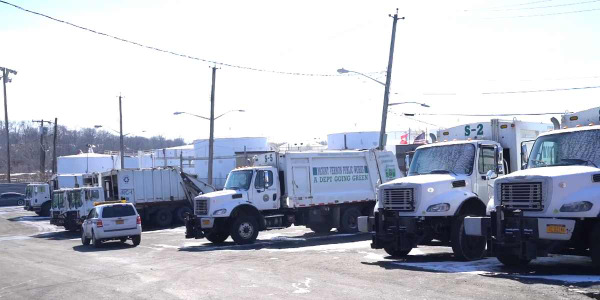 Brake violations remain a common source of roadside citations and even crashes and it's important to ensure your fleets brakes are up to par. 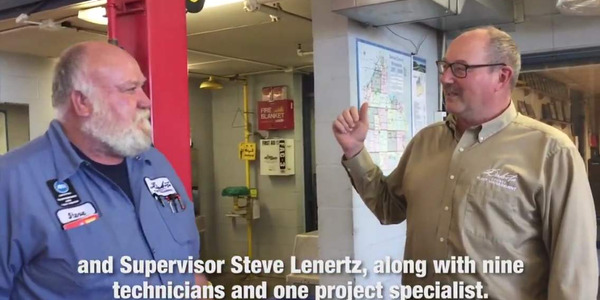 Nearly 1,600 vehicles were put out of service for brake violations during the Commercial Vehicle Safety Alliance’s unannounced Brake Safety Day in April. 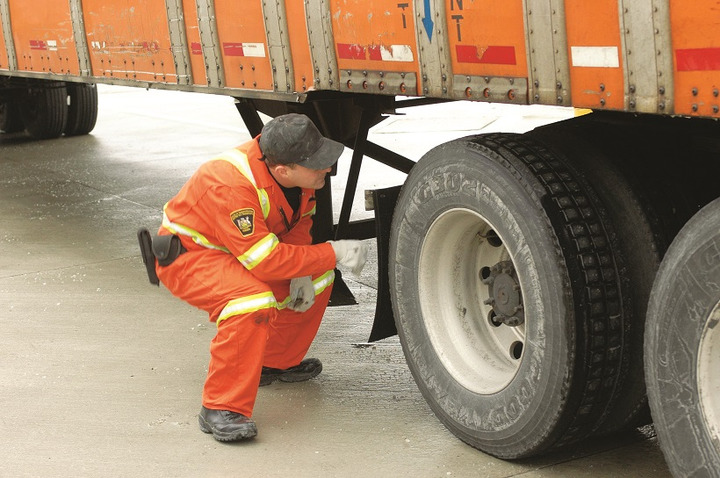 On April 25, 52 U.S. and Canadian jurisdictions conducted 11,531 roadside inspections on commercial motor vehicles, and 13.8% of the inspections ended in an out-of-service violation, about the same as for a Brake Safety Day event held in September of last year. Just weeks later, law enforcement officials and brake safety experts were on hand at the CVSA Brake Safety Conference in Schaumburg, Illinois, offering detailed information on what officers look for during brake inspections, plus tips to help drivers make sure their vehicle is ready to pass muster if it is selected for inspection. 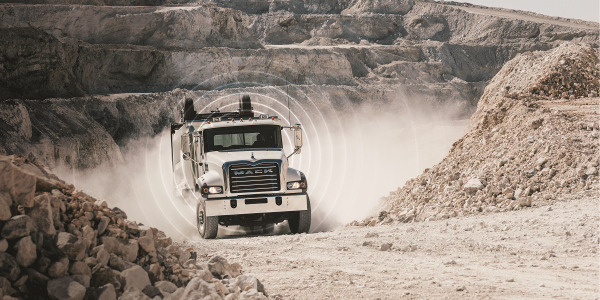 Based on that meeting, here are some refresher tips on inspecting your truck’s air brakes. Always check brake adjustments when brakes are cold. Stroke measurements will be longer when brakes are hot due to heat expansion of the brake drum. Your first inspection act is to identify the chambers and confirm their size based on the square-inch area of the chamber diaphragm. Brake chamber size can be determined by locating size markings engraved on both the clamp and body of the chamber. If those markings are illegible, you can also use a specially designed caliper to get the correct size measurement of the chamber. Commercial vehicle brake chambers range in size from 6 to 36 with 30 the most common size in use. 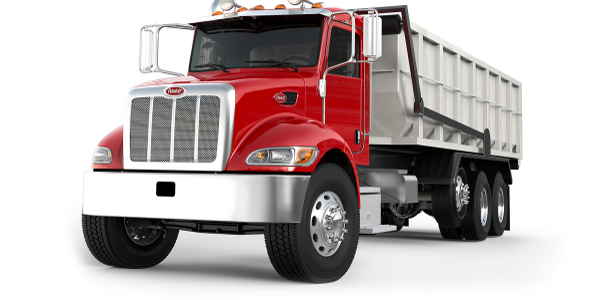 Steer axle brakes are generally smaller, ranging in sizes from 12 to 20. As a rule of thumb, larger size chambers are typically used on heavier axles. Once you’ve got the chamber size locked in, you have to determine if you’re dealing with standard or long-stroke chambers. This is important because the adjustment limit for a long-stroke chamber can be as much as ½ inch (13 mm) longer than the stroke length on a standard chamber. 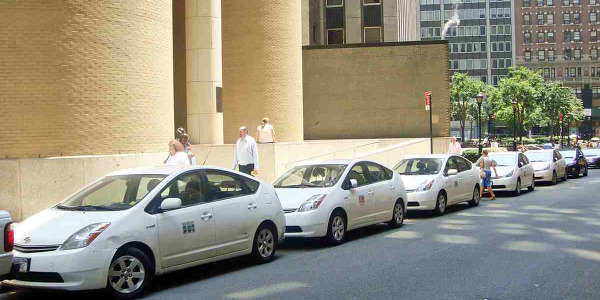 ● The airlines attach to a square-shaped port on the brake chamber body. Standard brake chambers have round airline ports. ● A trapezoidal-shaped tag placed under the clamp bolt that indicates the brake chamber’s maximum stroke dimension (but not the brake adjustment limit). ● Markings on the brake chamber body that indicate it is a long-stroke chamber and only long-stroke diaphragms are to be used with the component. Once you know for certain the size and stroke length of your brake chambers, it’s time to get down to the nitty-gritty of making sure your brakes are in compliance. ● Method 1: Mark the pushrod at either the brake chamber or another fixed reference point using chalk, soapstone or a marker pen. The marks should be narrow and precise. 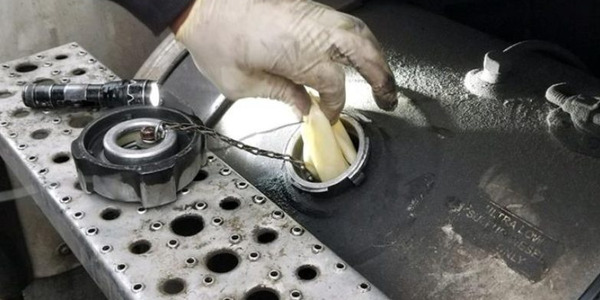 ● Method 2: Measure the released position of the pushrod and note the distance from a point on the pushrod body to a fixed point near the brake chamber. Regardless of which method you chose, the resulting figure is Measurement 1. 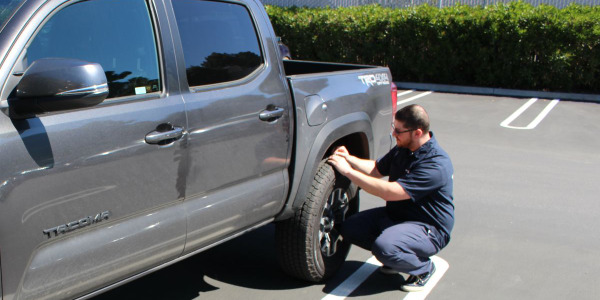 Now, either raise or lower the truck’s air pressure by either running the engine or pumping the brake pedal until you have 90 to 100 psi indicated in both the primary and secondary air tanks. Once you’ve got the correct air pressure indicated, apply and hold full pressure to the service brake pedal. Next, you need to determine the applied pushrod stroke according to the method you selected to obtain that measurement. If you used Method 1, measure the distance from the mark you made on the pushrod to either the brake chamber or the fixed reference point. If you used Method 2, measure the applied position of the pushrod. 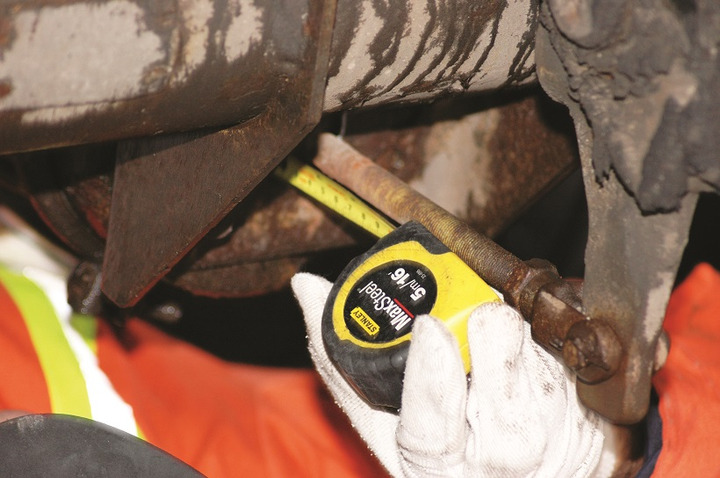 In both cases, your objective is to measure the distance from the previously selected point on the pushrod to the previously selected fixed point near the brake chamber to obtain Measurement 2. Now, based on your previously determined size and type of brake chamber, check Measurement 2 against the correct adjustment limit for the brake chamber. If the applied pushrod stroke is longer than the adjustment limit, the brake is out of adjustment. If you need a general idea as to whether your brakes are adjusted correctly and don’t have time to carry out a full-formed inspection, you can measure the free-stroke of a brake. 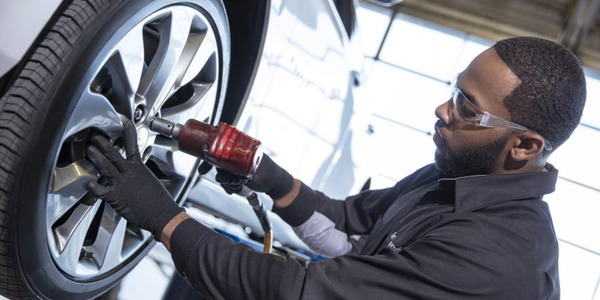 If you need a general idea as to whether or not your brakes are adjusted correctly and don’t have time to carry out a full-formed inspection, you can measure the free-stroke of a brake, which gets longer as the brake gets more and more out of adjustment. 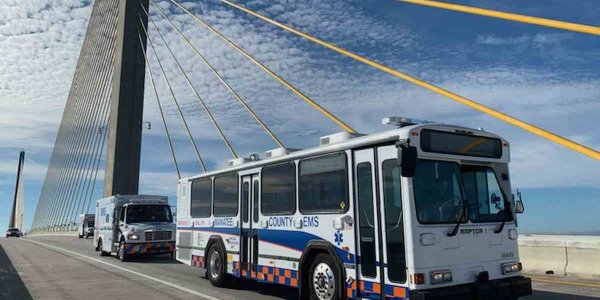 In this approach, properly chock and secure the vehicle, then climb underneath it and using your hand or a suitable pry bar, pull back on the pushbar away from the brake chamber and measure how much play is present in the pushbar’s range of motion. 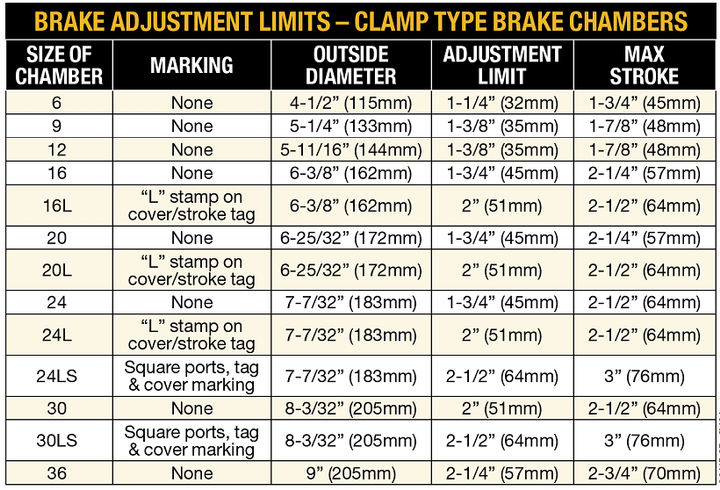 If the measured free-stroke distance exceeds ¾ inch (19mm), there is a high likelihood the brake is out of adjustment. In this instance, CVSA dictates checking the applied stroke of the brake the right way to confirm correct adjustment. 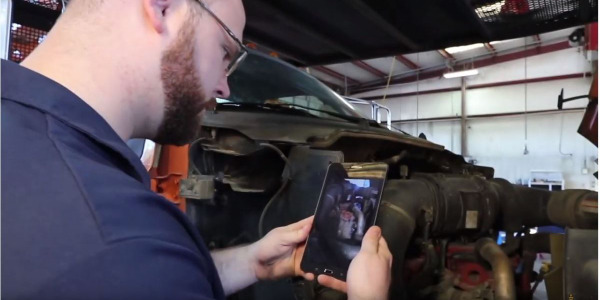 Again, the CVSA guidelines stress that this method only gives limited insight into brake adjustment and is not a guarantee that the brakes are within accepted CVSA adjustment limits. To help simplify the brake inspection process, many brake manufacturers today mark pushrods with indicator markings that can quickly tell you if a brake is in, or out, of adjustment. To check brakes using this method, check to make sure the vehicle is properly secured and chocked, then climb underneath and inspect each brake pushrod. A manufacturer’s out-of-adjustment indicator will typically be a brightly colored band around the pushbar. If the brake is within adjustment, this marking will be inside the body of the brake chamber and not visible. However, if any portion of the indicator marking is visible, either flush with the brake chamber face or past it, the brake is out of adjustment.